The forbearers of thrash resemble a Lovecraftian brotherhood. They’re the elder gods who set everything in motion for generations to imitate, while still ruling the roost from on high. 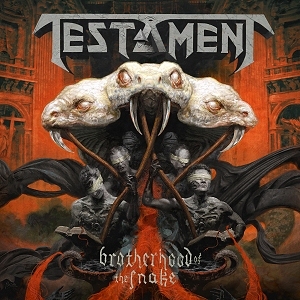 Testament stand proudly among the same vanguard that boasted “The Big 4” and beyond. For over three decades, the Bay Area quintet—Chuck Billy [vocals], Eric Peterson [guitar], Alex Skolnick [guitar], Steve DiGiorgio [bass], and Gene Hoglan [drums]—has consistently delivered unadulterated, unbridled, and unbreakable metal in its purest form without compromise or any signs of slowing down. Over the course of seminal releases ranging from The Legacy and Practice What You Preach to The Gathering and The Formation of Damnation, which won “Best Album” at Metal Hammer’s 2008 Golden Gods Awards, the group’s sales exceeded 14 million worldwide with 2 million in the U.S. alone. Most recently, 2012’s critically praised Dark Roots of Earth assaulted the charts, moving over 20,000 first-week copies and seizing #12 on the Billboard Top 200, the band’s highest U.S. chart bow ever. 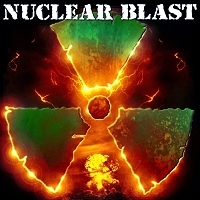 However, in 2016, Testament returns with more teeth than ever on Brotherhood of the Snake [Nuclear Blast]. Following a whirlwind of touring in support of Dark Roots of Earth, the guys began individually writing in late 2013. In between a rigorous tour schedule, new music organically assembled. During the spring of 2016, they hit the studio with Juan Urteaga [Machine Head, Exodus] and quickly cut the album’s 10 tracks. The record commences on a deadly note with the title track. A whiplash-inducing riff catapults Chuck’s unmistakable growl forward before snapping into mind-numbing leads. It’s a brutal breakneck basher on par with the band’s best. Brotherhood of the Snake concludes on the crushing yet cinematic “The Number Game,” which evinces Chuck’s knack for a vivid lyrical story. A fascinating concept rears its head during many of Brotherhood of the Snake’s key moments, nodding to the mythical race from which the record it shares a name. NOTE: All dates subject to change. Always check with the venue. and we will always assume control! Buy "Brotherhood Of The Snake"
Get Testament T-Shirts and Gear!